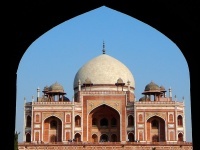 Travellers visiting the magical city of Delhi will be overwhelmed by the sightseeing opportunities available to them; figuring out where to begin will be the hardest part of the journey. Many visitors kick off their sightseeing at the Red Fort, Delhi's signature attraction, reminiscent of the Mogul Empire that once ruled the region. 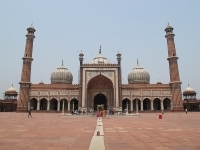 Other landmark attractions include the majestic Jama Masjid, in Old Delhi's bustling streets, which is India's largest mosque and a breathtakingly beautiful building to photograph; the Chandni Chowk market, the ideal place for an authentically Indian shopping experience; and Humayun's Tomb, another classic example of Mogul architecture, which is especially important to visit for those who are not making the trip to the famous Taj Mahal. Another must-see while in Delhi is Rashtrapati Bhavan, a palace larger than Versailles and the residence of the Indian President. Here, visitors can watch the changing of the guard and marvel at the building's architecture, built by Herbert Baker and Edwin Lutyens between 1921 and 1929. Other worthwhile attractions include the beautiful Lotus Temple; and Rajpath, the main route leading from Rashtrapati Bhavan to India Gate, a memorial monument built for the Indian soldiers who died in World War I, where visitors can relax on the grassy lawns and soak up the scenery. A great way to visit many of the sights around Delhi is on the Hop On Hop Off Bus, which leaves every 30 minutes and stops at close to 20 of Delhi's top tourist destinations. 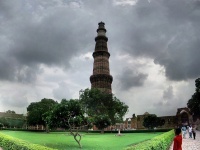 Tourists pay a once-off fee and can hop on and off at a variety of monuments, gardens, bazaars, museums and galleries. 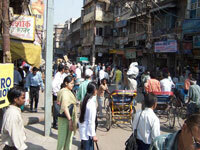 We are looking for contributors for our Delhi travel guide. If you are a local, a regular traveller to Delhi or a travel professional with time to contribute and answer occasional forum questions, please contact us.